…You’re about to open that bottle of wine that you’ve been saving for a long time now. 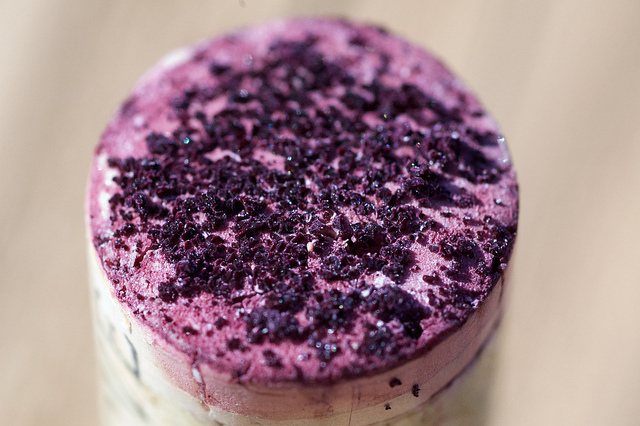 You carefully push the sharply-tipped screw into what you believe to be the centre of the cork. You twist. You twist some more. You twist again. You then proceed to push the arms of the corkscrew down, slowly lifting that cork. Pop. Your next move: look at and smell the cork. But wait! What are those shiny crystal-like things attached to the bottom of your cork? They look like diamonds! 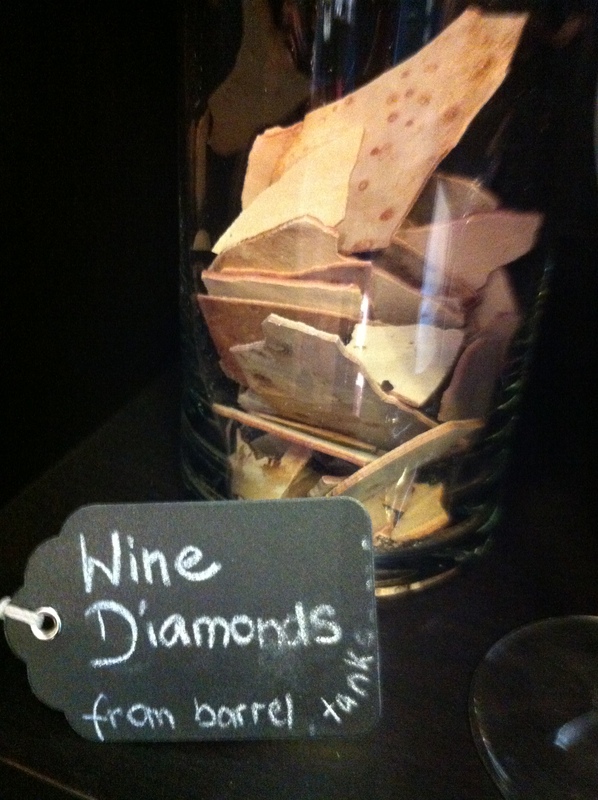 Too bad they’re not worth the same amount as diamonds, but they are diamonds – wine diamonds! So, what exactly is a “wine diamond” you ask? Don’t fear, dear readers. These are natural occurrences, and are more common than rare. Wine diamonds can be seen more frequently on the corks of white wines of the world, but one can stumble across them in reds, too. …potassium bitartrate crystals that result if a wine is not cold-stabilized. Believe it or not, they are actually a good sign in a wine, implying reasonable quality. Their appearance means the wine hasn’t been pasteurized (heated) and then quickly chilled before bottling. […] Although unsightly, they are totally harmless with no colour or taste. From Ask the Wine Doctor, 2002, pp. 232. I was once taking a tour of the Okanagan with my colleague Brenda Latta, and we stopped into 8th Generation winery. Stefanie Schales (nee Frank), founder of 8th Generation Vineyards in 2007, took Brenda and myself on a quaint tour of the vineyard and winery. In the tasting room, she showed us a vase filled with wine diamonds, that had been collected from their tanks. Take a look! So, the next time you uncork that bottle of wine and you see those tiny little crystals staring you in the face, remember that it’s not a fault. It is probably a sign of good things to come.